No, it’s not a new water hazard, just a temporary photo of the main dam spillway taken on Sept 29! 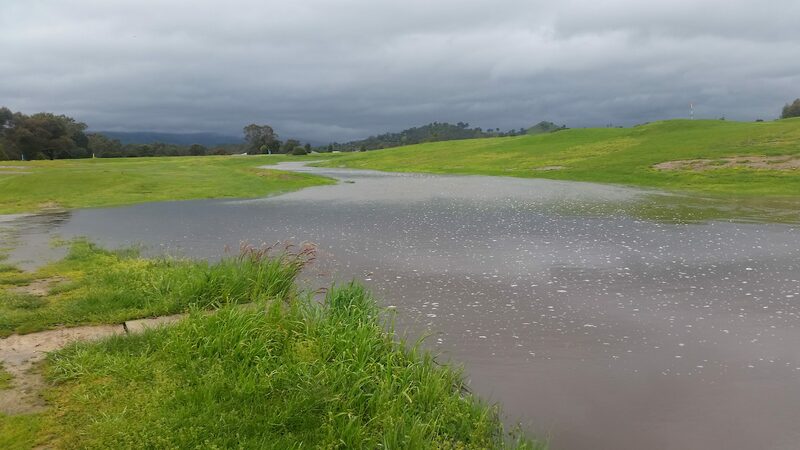 The course will drain and dry out soon so….keep practicing! It will probably come as no surprise to many that with the very wet conditions we have all experienced over the past few weeks our hardy team of volunteer workers have been unable to adequately prepare the course for the popular Ladies ‘Isobel Bett Memorial‘ Day this Thursday and the Yea Annual Tournament that was scheduled to be played this weekend. As a consequence both events have been cancelled. We will advise of rescheduled dates as soon as they are decided.